The first known settlements in Benalmádena date back to the end of the upper late Palaeolithic, as evidenced by the archaeological remains found in some of the municipality’s caves (Cueva del Toro, Cueva de los Botijos and Cueva de la Zorrera). In 711 A.C. the Muslims landed in “Spania” (a name used since the Byzantine occupation) and occupied the area on the basis of pacts and negotiation rather than battles. One of the few significant exceptions in the entire peninsula was the resistance at Bobastro (Málaga) of Omar Ibn Hafsun, who was finally obliged to surrender at the beginning of the 10th century. At that time Benalmádena did not have important urban centre, only comprising a few settlements which were no larger than hamlets. 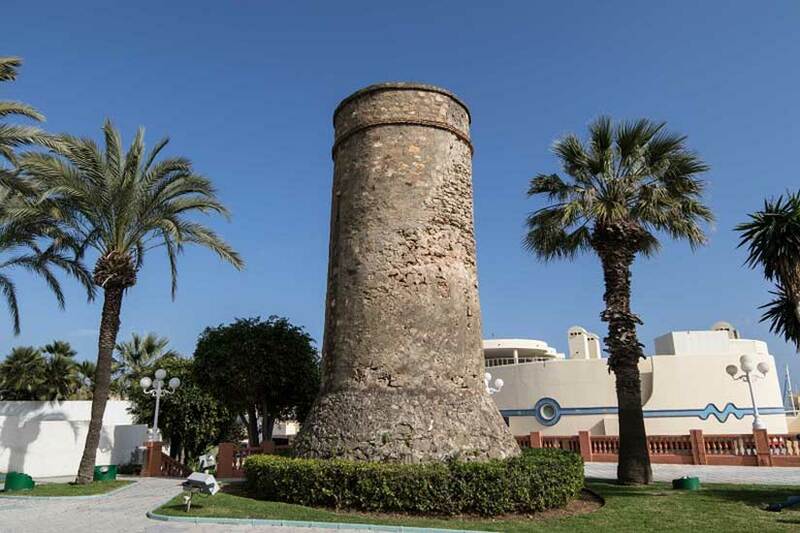 Around the 11th century a social structure began to develop around Benalmádena’s urban centre, located in the present-day town and which consisted of a fortress and a small walled town. It was also under the Muslim occupation that the town acquired its present-day name – Benalmádena – which most likely comes from the Arab word “Ibn-al-Madena” meaning ‘Children of the Mines’. In the 1950’s, the possibility of exploiting tourism in the Costa del Sol started to be valued, and some investors acquired plots of land along the coast for the purpose of building the first hotels. At that time the area was not referred to in any special way, since few people knew it, and was simply called ‘the road from Malaga to Cadiz’ or even wrongly thought to belong to Torremolinos, which was still a part of Malaga administratively speaking. The first hotel in this area was La Roca, which was soon followed by the construction of many others – the Siroco, Tritón, Riviera, Alay… As a result many first-class hotels were concentrated within a few metres of each other, converting Benalmádena into a distinctive location.